What is the cheapest way to get from Nanaimo to Coombs? The cheapest way to get from Nanaimo to Coombs is to drive which costs $4 - $7 and takes 36m. What is the fastest way to get from Nanaimo to Coombs? The quickest way to get from Nanaimo to Coombs is to taxi which costs $120 - $150 and takes 36m. Is there a direct bus between Nanaimo and Coombs? 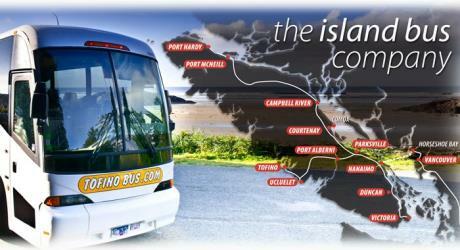 Yes, there is a direct bus departing from Nanaimo, Departure Bay Ferry Terminal, Canada and arriving at Coombs. Services depart twice daily, and operate every day. The journey takes approximately 40m. How far is it from Nanaimo to Coombs? The distance between Nanaimo and Coombs is 38 km. The road distance is 42.5 km. How do I travel from Nanaimo to Coombs without a car? The best way to get from Nanaimo to Coombs without a car is to bus which takes 40m and costs $19 - $27. How long does it take to get from Nanaimo to Coombs? 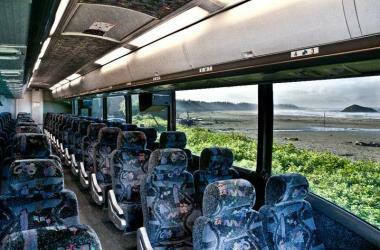 The bus from Nanaimo, Departure Bay Ferry Terminal, Canada to Coombs takes 40m including transfers and departs twice daily. Where do I catch the Nanaimo to Coombs bus from? Nanaimo to Coombs bus services, operated by Tofino Bus, depart from Nanaimo, Departure Bay Ferry Terminal, Canada station. Where does the Nanaimo to Coombs bus arrive? Nanaimo to Coombs bus services, operated by Tofino Bus, arrive at Coombs station. Can I drive from Nanaimo to Coombs? Yes, the driving distance between Nanaimo to Coombs is 42 km. It takes approximately 36m to drive from Nanaimo to Coombs. Where can I stay near Coombs? There are 53+ hotels available in Coombs. Prices start at $89 CAD per night. What companies run services between Nanaimo, BC, Canada and Coombs, BC, Canada? Tofino Bus operates a bus from Nanaimo to Coombs twice daily. Tickets cost $19 - $27 and the journey takes 40m. Rome2rio's Travel Guide series provide vital information for the global traveller. Read our range of informative guides on popular transport routes and companies - including Why you should take the train in the US, How to get from London City Airport into central London and How to get from Florence to Rome - to help you get the most out of your next trip. Discover how to get to attractions and hotels near Hilliers. Englishman River Falls Provincial Park is a provincial park in British Columbia, Canada. It is located west of Parksville and borders the town of Errington on Vancouver Island. Short hiking trails and bridges access both upper and lower falls. The campground has 103 sites and about half can be reserved. A First Nations legend mentions the skeleton of a white man found near the falls, hence its name. Horne Lake Caves Provincial Park is a provincial park on Vancouver Island in British Columbia, Canada. Its principal function is the protection, management, and recreational use of several caves collectively known as the Horne Lake Caves. MacMillan Provincial Park is a 301 hectare provincial park in British Columbia, Canada. Located 25 km west of Qualicum Beach and 16 km east of Port Alberni, the park straddles Highway 4 in central Vancouver Island. It is nestled on the western shore of Cameron Lake, and protects the delta of the Cameron River. The park is home to a famous, 157 hectare stand of ancient Douglas-fir, known as Cathedral Grove, which draws visitors from all over the world. The park provides the only highway-accessible protected old-growth Douglas-fir forest in British Columbia. In 2007 Cathedral Grove made the short list on CBC television's competition Seven Wonders of Canada. Rome2rio makes travelling from Nanaimo to Coombs easy. Rome2rio is a door-to-door travel information and booking engine, helping you get to and from any location in the world. 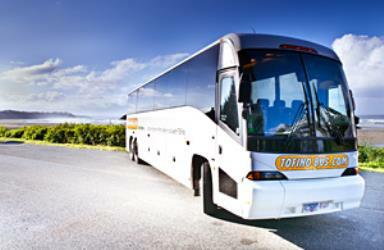 Find all the transport options for your trip from Nanaimo to Coombs right here. Rome2rio displays up to date schedules, route maps, journey times and estimated fares from relevant transport operators, ensuring you can make an informed decision about which option will suit you best. Rome2rio also offers online bookings for selected operators, making reservations easy and straightforward.